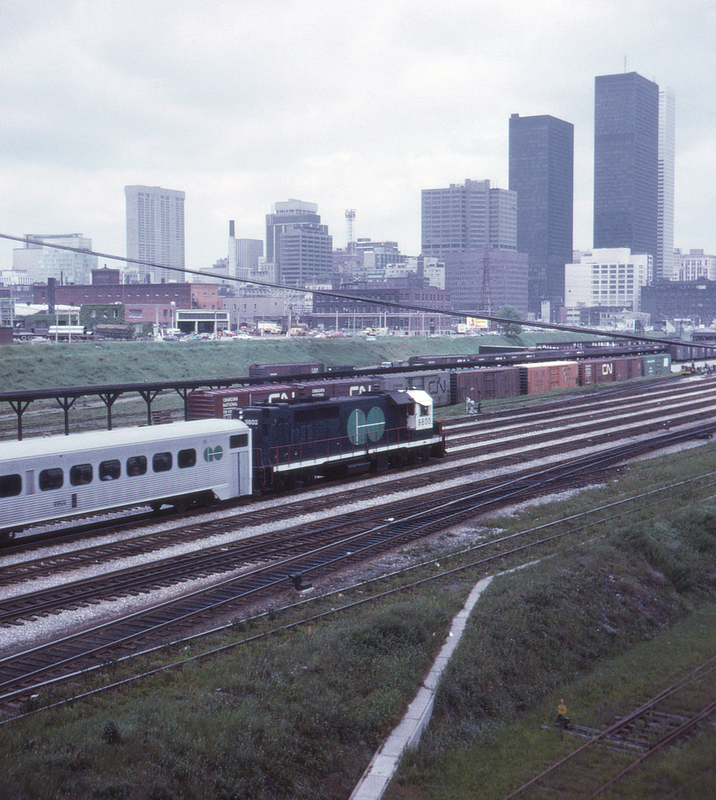 In addition to nine self-propelled MU cars, GO Transit began operations in 1967 with 32 aluminum coaches built by Hawker-Siddeley Canada and eight EMD GP-40TC's built at GM's London, Ontario plant, including no. 9800 seen here. The GP-40TC's are seven feet longer than standard GP-40's due to inclusion of head-end power for headting and cooling. In the late 1970's bi-level coaches in a striking green and white color scheme were added, becoming an indelible part of the system's image. This view is west of downtown Toronto and Toronto Union Station.